The heavy feed alley scraper is, like the other Kemp feeders, capable of swivelling 70 degrees, left and right. Because the slide swings 70 degrees, the feed can be slide well towards the cows and it will not start to accumulate. In addition, it is important that the feed is placed next to the vehicle, so that the vehicle does not drive over the feed. Therefore, it is important that the scraper can pivot. 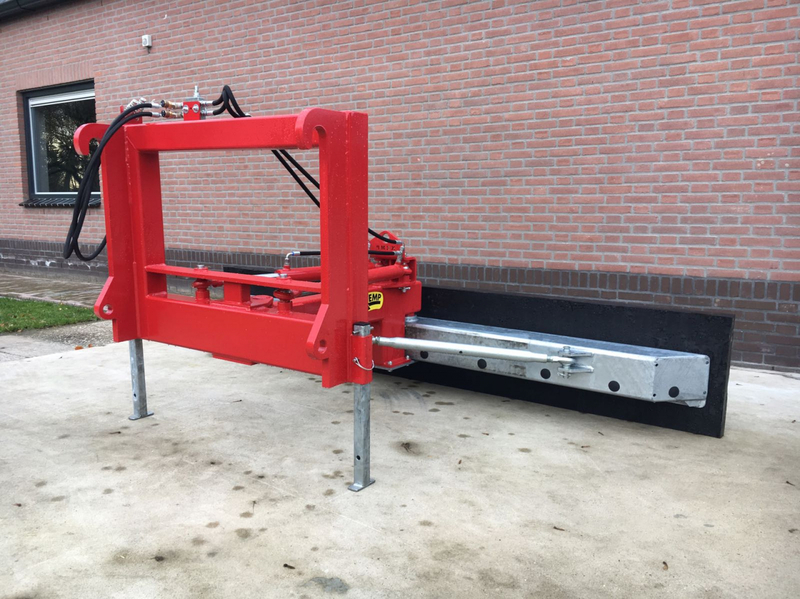 Pivoting 70 degrees is possible through the use of two hydraulically driven cylinders. The second advantage of these two cylinders is that there is more power to pivot the scraper during feeding. 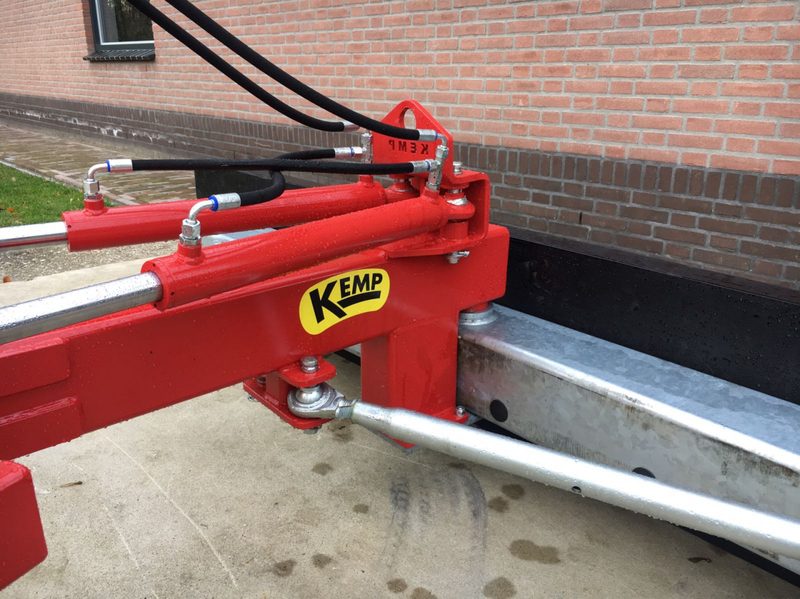 The RVSABK is the heaviest model feed scraper available at Kemp. 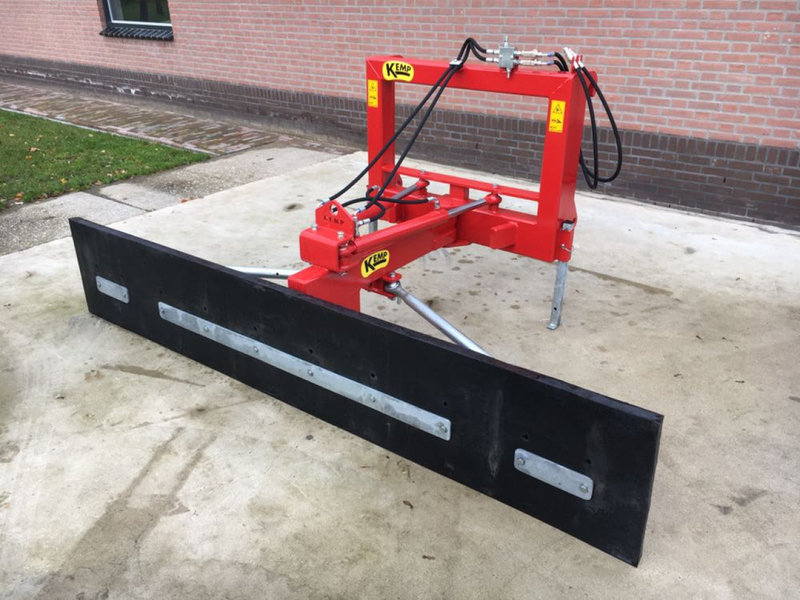 Thus, this scraper is suitable for intensive sliding and can be used as an attachment on heavy vehicles. Compared to the other feed scrapers, the hollow steel profile, cylinders and frame are improved. The RVSABK is available in the sizes 2,800 and 3,200 mm. The RVSABK comes standard with a rubber that is 500mm high and 50mm thick. In this rubber two rows of holes are drilled, allowing you to turn over or lower the rubber when one side is worn. 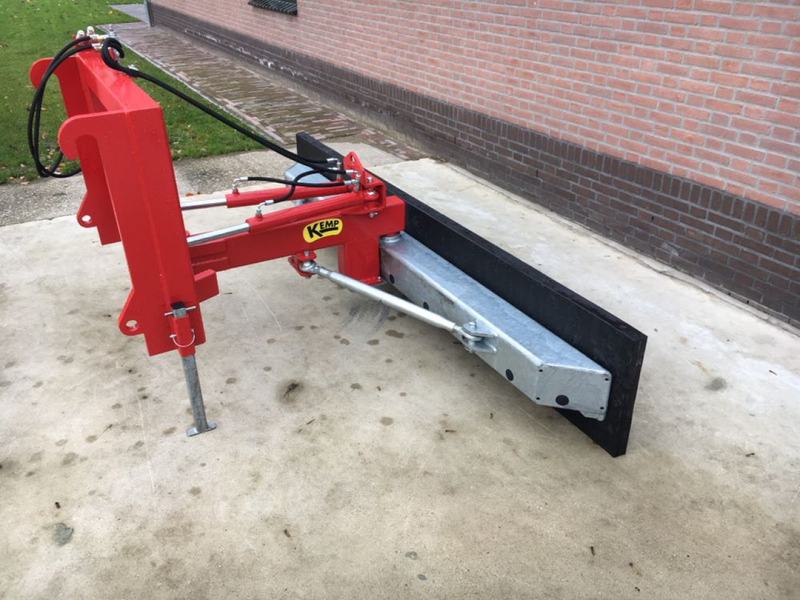 The heavy feed alley scraper is available with the attachments that belong to your vehicle (for the attachment parts, see the document: Kemp attachment parts).